Genesis Mining offers an easy and smart investment solution for the crypto market. The cloud mining service provider uses a multi-algorithm model on their efficient and reliable mining rigs that are available for rent for both digital currency experts and for those who are new to the bitcoin industry as well. The cloud mining activity has been started at the end of 2013 at Genesis Mining. The founders have been trading bitcoins on the same platform, this is how they got together. Nowadays the company has been incorporated in Hong Kong. Genesis Mining has a strong quantitative background. Both of the founders have professional education in a mathematical field. Marco Streng current CEO of Genesis Mining is an early bitcoin investor, has been studied as a mathematician. The other founder of the company is Dr Marco Krohn is a mathematical physicist and a quant. He is the CFO of Genesis Mining. Both of the founders and the rest of the staff is a frequent presenter at various bitcoin conferences and they even sponsor blockchain events. The company lists some of their mining facility on their site. Interactive videos guide the visitors across the mining farms in Iceland. The data centers processing the algorithms on specially designed hardwares to reach the most efficient mining capacity at various other locations in Europe, America and Asia. The exact locations are not disclosed due to security reasons, they are choosing the places based on electricity costs and cooling availability. 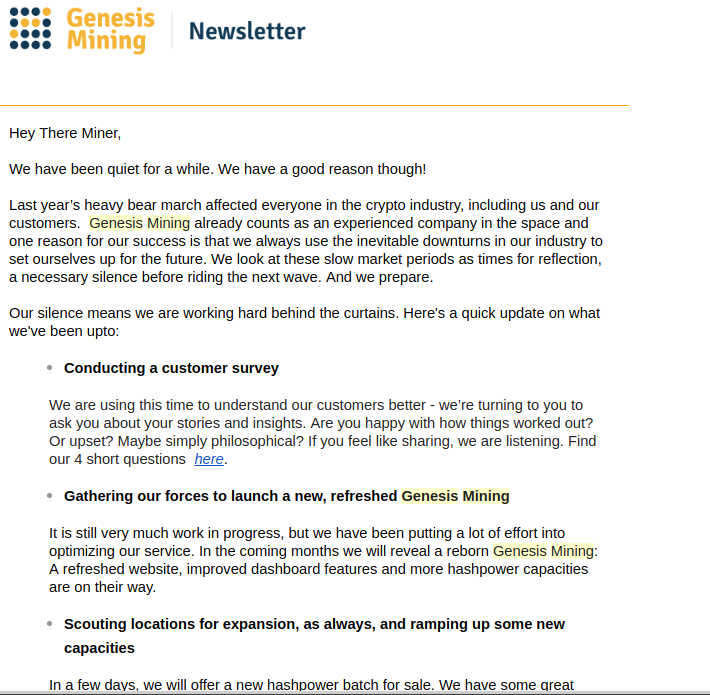 Before August 2014, Genesis Mining was only running mining rigs for earning altcoins, which were then subsequently converted into bitcoins. However due to the high demand on the market, for more than 2 years now they are providing direct bitcoin cloud mining services as well, ensuring the latest technology is used for bitcoin mining on their farms too. The offered list of altcoins changes time to time based on coin’s popularity. Genesis Mining uses polls on Facebook to decide which altcoins should be preferred and added to their basket. They also let the users to decide which altcoins to mine from their purchased hashpower that can be easily allocated through their interface. Genesis Mining offers three types of algorithm for mining cryptocurrencies: SHA256, X11 and Ethereum protocols. Due to their special feature – the Advance Autotrader – even if a coin is mined with X11 or Ethereum algorithm, the payout can still be performed in bitcoin. Due to the autotrader, always the most profitable algorithm is used to mine the coins and then automatically exchanged to bitcoin. The cloud mining company offers a 100% uptime guarantee that means even if a miner crashes, the relevant mining pool compensates the client fully for the hashpower loss, so no mining time is lost. Users can sign up to Genesis Mining cloud mining services just by providing an email and a password. After signing in, clients may add payout methods and purchase hashpowers right away. Genesis Minings enables two factor authentication to increase the security of their accounts. The mining rigs run 24 hours a day, so the mining day is starting from 0:00 UTC and ending at 23:59:59 UTC. 8 hours after the mining day the payout report is published on Genesis Mining platform after their calculation and checks. The payouts are received daily automatically, the first payout is sent within 48 hours after the contract started. Credit card payouts are withheld for a month for security measures to protect the company from credit card charge backs, but after that the contracts are paid out daily as well, in the meantime clients can follow accumulated earnings on the platform. Genesis Mining promises users to rent the latest technology for the cheapest possible price. The fee model consist of three level plans the clients can choose from. The starter plan is available from 30 USD for 200GH/s hashpower. The medium package is charged at 350 USD for 2500 GH/s and the premium plan costs 1950 USD for 15000GH/s mining power. Genesis Mining also offers custom plans where the price is pro rata decreasing depending on the mining capacity site. Clients can rent up to 200TH/s hashpower for bitcoin mining (for 26 000 USD) and 5000MH/s hashpower for litecoin mining (for 60 000 USD). The bitcoin cloud mining contracts are all signed for a lifetime access, but have a maintenance fee. The litecoin, zcash and ethereum contracts are for fixed term, for 2 years but no maintencance fee is charged. They only charge maintenance fee on SHA256 contracts based on GH/s to cover the maintenacne cost of the mining rigs. The maintenance fee of 0.00079 USD per GH/s is deducted from the daily mining output. X11 and Ethereum contracts does not have that fee. The cloud mining services can be paid with VISA or Mastercard but they charges a fee for orders below 100 USD. They accept USD and EUR bank wire transfers and naturally cryptocurrencies, such as Bitcoin, Litecoin, Dogecoin and Dash. On this site you can find the current genesis mining coupon codes. Genesys Mining website is professionally designed and easy to navigate on. The FAQ provides the answers to most of the user’s questions, but clients may further search in the Genesis Mining freshdesk cloud support service for answers. The company is also happy to answer any question raised through their contact form or sent by email. There is a review section on the site where users can rate the services and can leave anonymous feedback. Currently almost 700 client left some kind of review and rated their services, based on this it looks like the clients are satisfied. Genesis Mining offers multi-algorithm cloud mining services based on their mining rigs capacity around the world. The company offers several investment plans to joint the cloud mining activity in bitcoin, litecoin and many more altcoins. The mining plans are customizable, so the clients can sign up for as much hashpower as they want to. The mined coins can be automatically traded into bitcoins, ensuring the most efficient way is used for bitcoin mining. Although their fee structure is very transparent, the charged maintenance fee on bitcoin contracts and the extra fees on credit card purchases makes the service a bit expensive. Genesis Mining represents the company at cryptocurrency events and promotes the widespread of bitcoin across the world. Here is a list of common questions to cut down on the number of useless posts here in this sub. Be very aware of buying accounts from other users Not saying every account for sale is a scam, but it is very easy for every account to be taken back by the original owner with just a call to Gensis. A - If you paid by credit card there is a 30 day hold on payments to make sure the card used isn't stolen. You can refer to the "My Orders" section on Genesis to see all "Pending Payments" they accrue here until the hold is lifted and then you start seeing daily payments if your daily production of your contract meets the minimums. Q - I'm past my 30 day hold but payments only show on the graph every couple of days? A - Each coin has a minimum amount necessary to make a payment to your wallet, if the total for that day does not meet that requirement Genesis keeps the coin until your daily payments add up to the min. You can see on the "Payouts" section your daily payments will list "View Transaction" on the ones that meet the min and will actually end up at your wallet. Q - Can people get a discount greater than 3% on their purchases? A- No, under the affiliate section the ranked section is how much percentage of other peoples purchase you receive as a bonus. The purchasing party will only ever get a 3% discount. Q - Is Genesis a Scam? A - To the best of our knowledge no. The company has existed since 2014 with over 500,000 users. There is plenty of videos of youtubers visiting their warehouses and even a news crew did a bit on them that aired on the local news in Iceland. Q - What does Genesis do with my money? A - Buy more hardware, this is the model they have put forth of how to grow. They turn all entry cost into ever more hashpower. Q - Are there any hidden fees? A - They aren't hidden, they are listed on the contract on BTC only there is a charge for power per KHs per day. I would suggest against buying small amounts of BTC but larger amounts pan out well. All other Alt coins are fee free. Q - How come my coin production is going down every day? 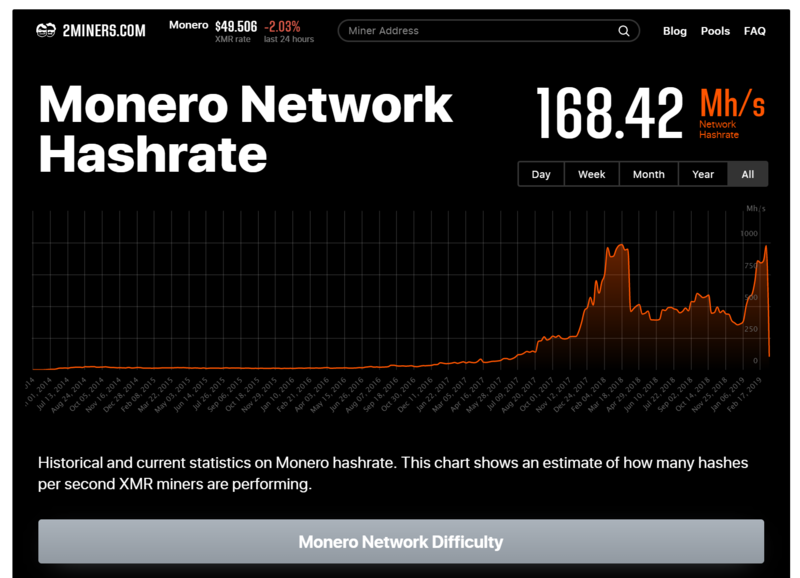 A - Difficulty, this is an issue for cloud miner and GPU miners alike. As more people get into the pool of hashrate the algorithms get harder to produce coins. Some of these algorithms are written to just get harder over time period even if the pool of miners didn't increase. 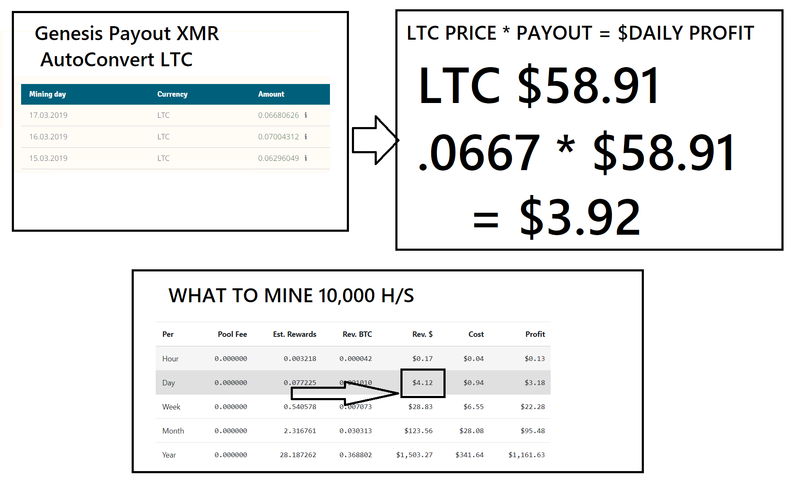 Make sure to factor this into your math when considering getting into mining period. Q - How much should I get into mining for? A - However much you can afford to lose and not fret over it. Cryptos in general are huge bet and mining compounds on that bet that your now in the long game to hold for the contract length. Don't buy on credit cards and never rely on the payments to pay bills. This is just a life lesson on cryptos. Q - Do I need a wallet to use Genesis Mining? A - Not at first, without a wallet listed on your account the coins just continue to accrue in the Genesis wallet system until you list a wallet. You can have the payments directed to an exchange but I would suggests against that if you are not immediately selling the coin upon each payment. I would suggest getting the appropriate wallet for the coin you have a contract for. Or Exodus wallet is a decent option that supports most of the coins you can get a contract on at Genesis. Feel free to ask more questions, if I have seen them before I will add them to the list. They pretend everything is fine. like the band continuing to play on the deck of the titanic.